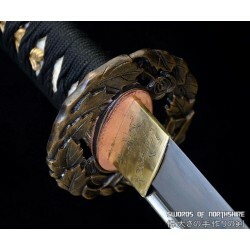 This battle ready Dragon & Phoenix Jian sword is made of damascus steel, clay tempered with.. 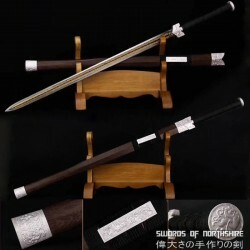 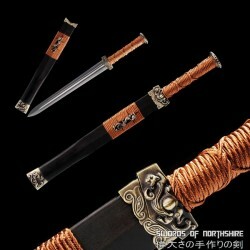 This battle ready Han Jian sword is made of folded steel, designed to be perfect for practical .. 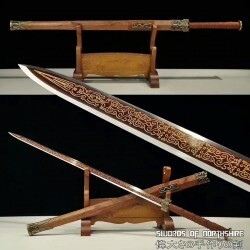 This functional Jian sword is made of folded steel, designed to be perfect for practical C..